All right! Awesome! Big shout out to The Nerd Nest and The Secret Society of Comic Book Illuminati for being awesome and letting me throw up a link! That means a lot to me. Some neat stuff from Marvel this week. 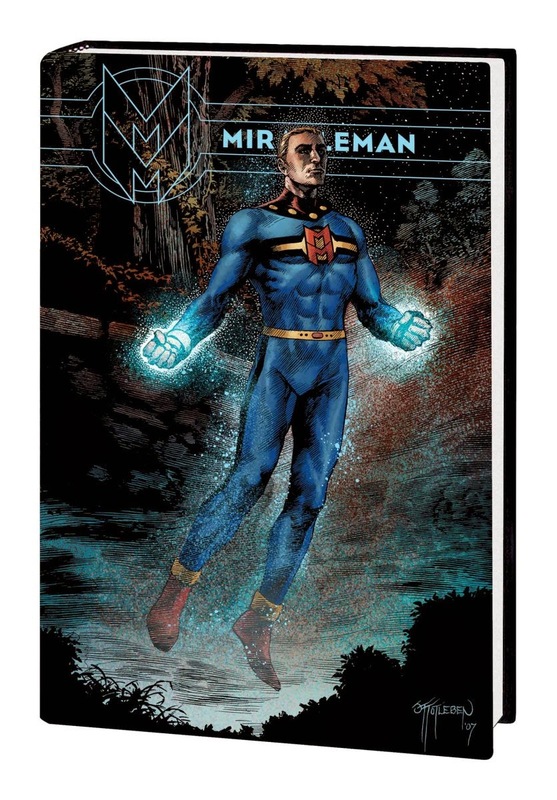 The Miracleman hardcover has three covers which is cool/frustrating for purist collectors. I think I found all three covers but, the three artists, (Arthur Adams, John Totleben and Jim Cheung), have also done variants for individual issues by the looks of it so if one of them is wrong feel free to correct me and if you have the right pic - throw it up in the comments section! "Which of the West Coast Avengers women will he take as the basis for his metallic mate, known as War Toy? As the Whackos regroup after a blistering assault, Ultron finds that the path of true love doesn't run smooth - even for ruthless robots." Huh, wonder if they'll use that in the movie? Contains: Avengers West Coast #89-91, Avengers West Coast Annual #8, and Vision #1-4. Holy crap crackers! That's a lot of Star Wars comics, Batman! 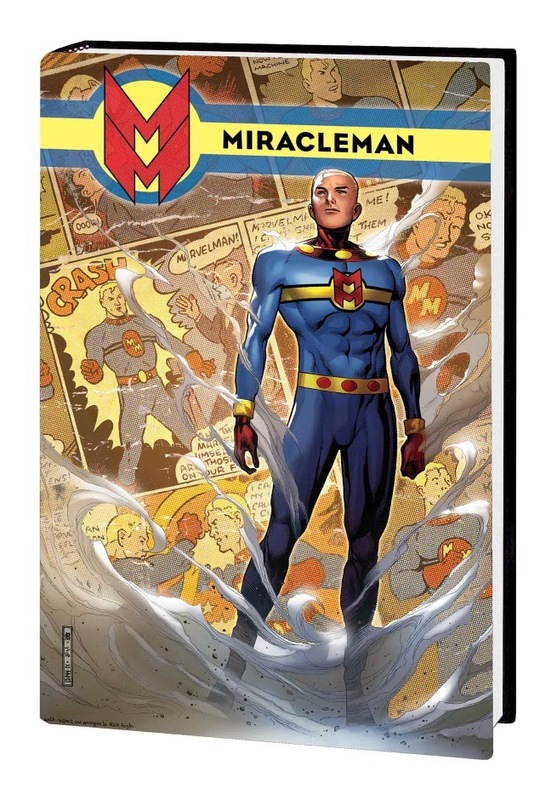 Can't say I'm surprised that Disney is reprinting their new acquisitions through an old acquisition, makes sense. 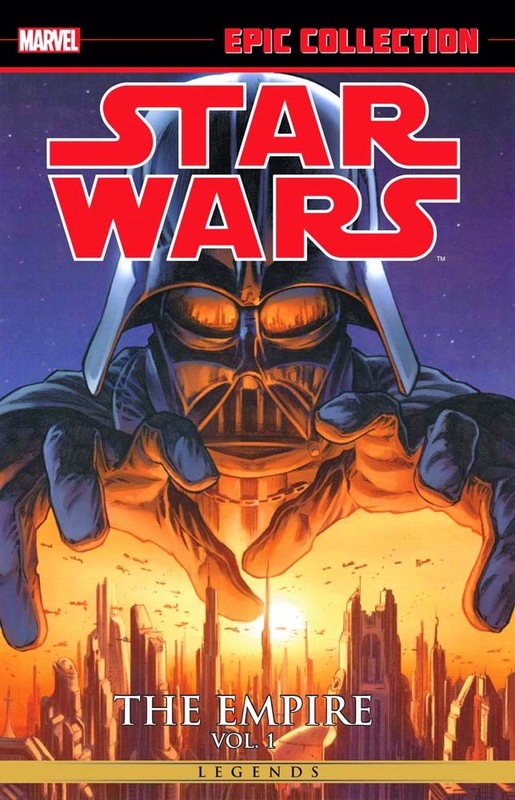 The people who are happy with their original Dark Horse prints need not apply, but for anyone new to the galaxy far, far away or anyone who just wants to save some space on the shelf these volumes are great news. And with splashy cover's by Alex Ross I'm sure your shelf would be happy to hold them. There isn't as much in this as I thought there would be, (less than 200 pages), especially considering it's only $10 less then the almost 500 pages that's offered in the tome above. 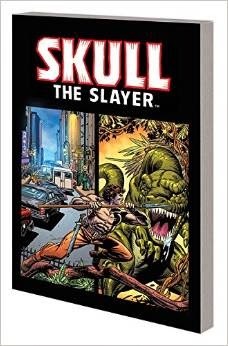 At first I kind of laughed at the title, which sounds like a Kull The Conqueror knock off, (and, honestly, probably was), but then I saw the nice Gil Kane cover and noticed it was written by Marv Wolfman and figured it'd be worth a mention. There's some burgeoning talent in it as it was the mid 70's and Wolfman had yet to throw the DC Universe into their first, and best, Crisis.